Your Sommelier is a monthly wine subscription box. 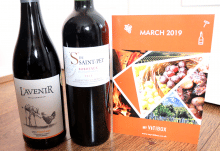 Every month you will receive 3 bottles of French wine selected by our Sommeliers with matching tasting cards including food pairing, information about wine, regions and appellations. You’ll also get our welcome binder to regroup all of your cards. 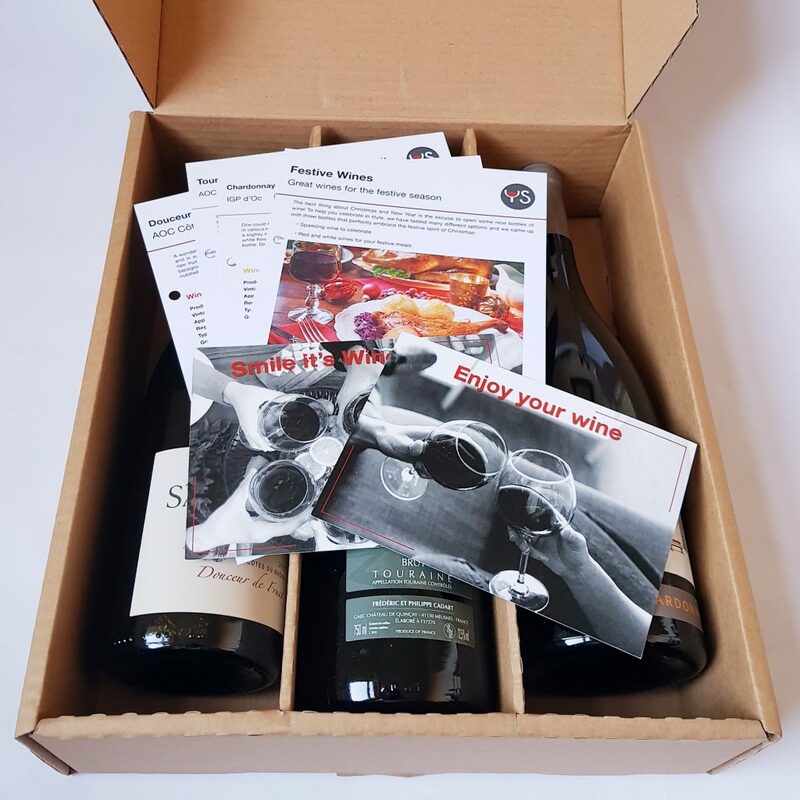 Expert Box – The finest French wines for Connoisseurs. £60/Month. This month we have a selection of Festive Wines! Three bottles, perfect for Christmas. 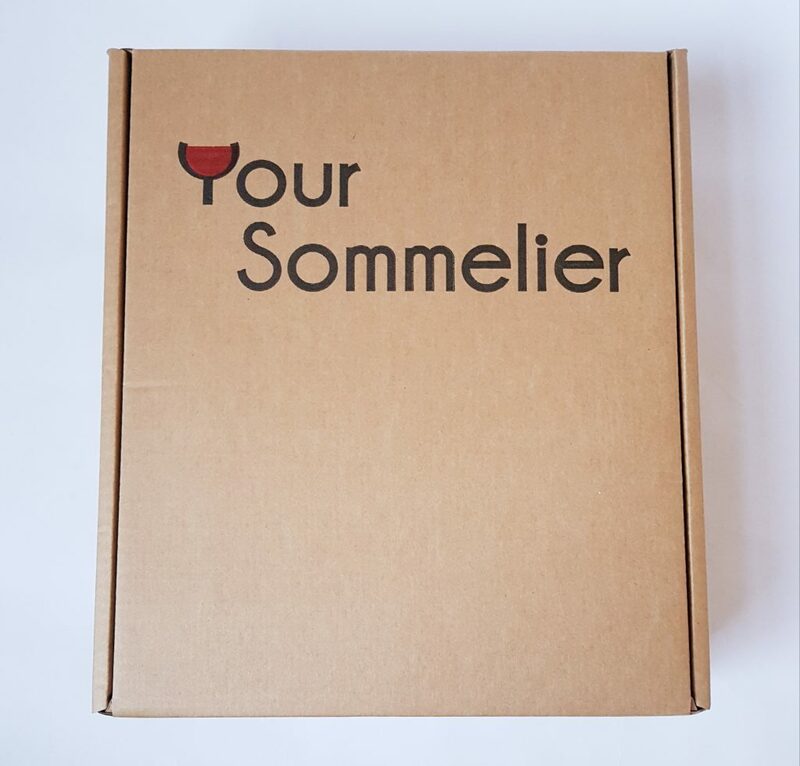 As always you have a protective box for all the wines. It also arrives wrapped in bubble wrap in an outer mailing box. On top you can see the information cards, one for each bottle plus the theme card. We have a red, a white, and a lovely bottle of sparkling wine. Don’t forget, actual champagne is lovely, but other types of sparkling wine are equally nice to drink, and generally a great deal more reasonably priced! As this is a festive selection I’m saving these bottles for Christmas, so there won’t be tasting notes this time. However if it’s anything like last year’s Christmas selection everything will be delicious! 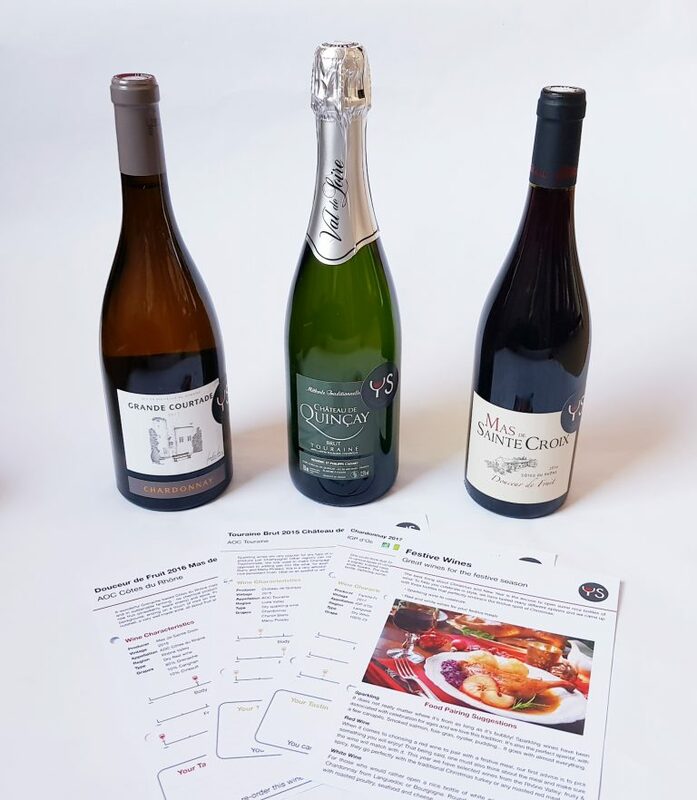 All the wines are from the Rhone valley, which is strong on spicy and fruity wines. 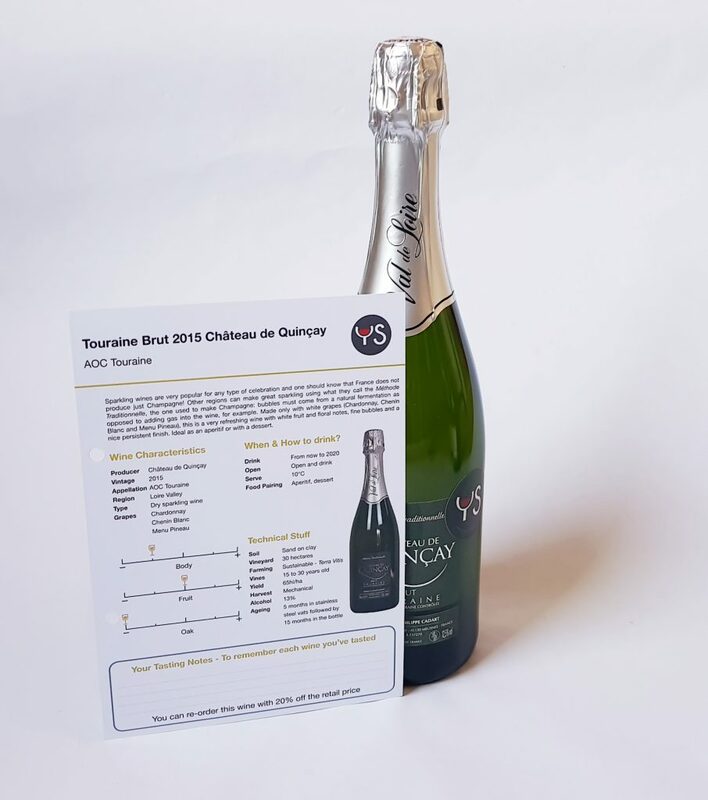 Touraine Brut 2015 Chateau de Quincay. Sparkling wine is ideal for any celebration, and this dry wine is perfect to enjoy with canapes before Christmas lunch. The vinyard itself appears to have an excellent reputation, so I’m pretty confident this is going to be nice. 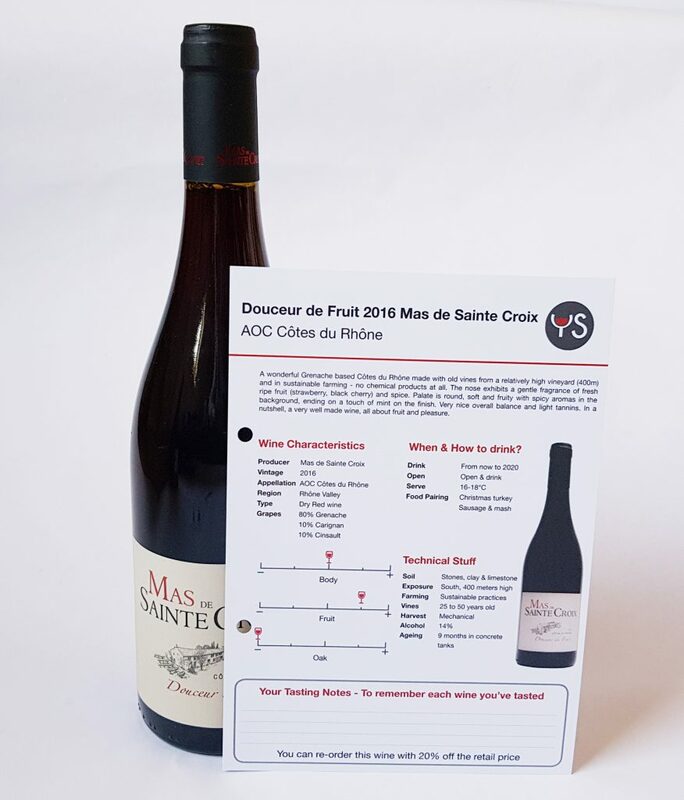 Douceur de Fruit 2016 Mas de Saint Croix. This wine is on the fruity side, 80% grenache, which sounds like something I’ll enjoy. 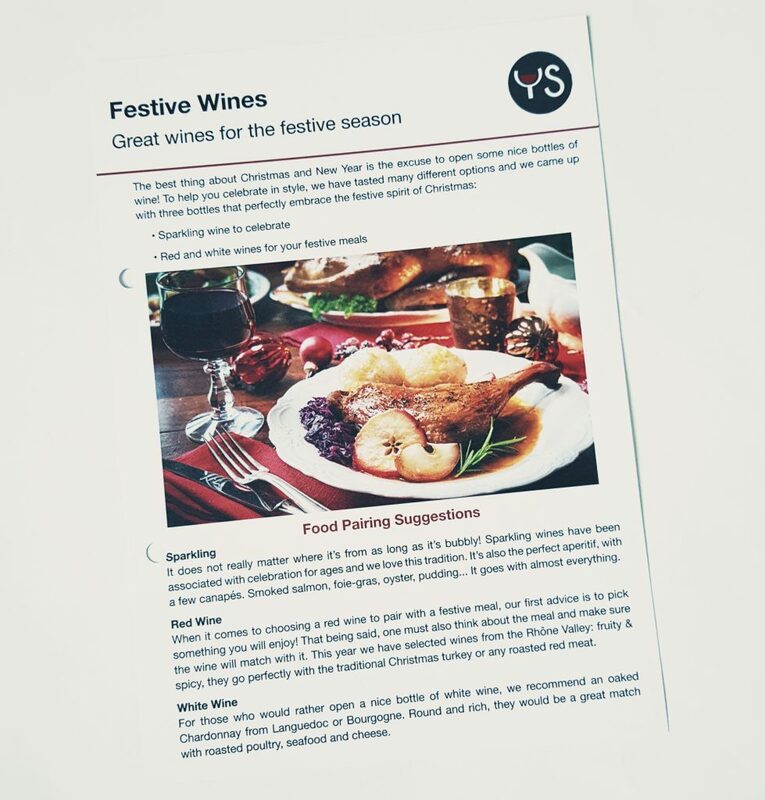 Its pairing is Christmas turkey, which is ideal, though it would go well with any roast. 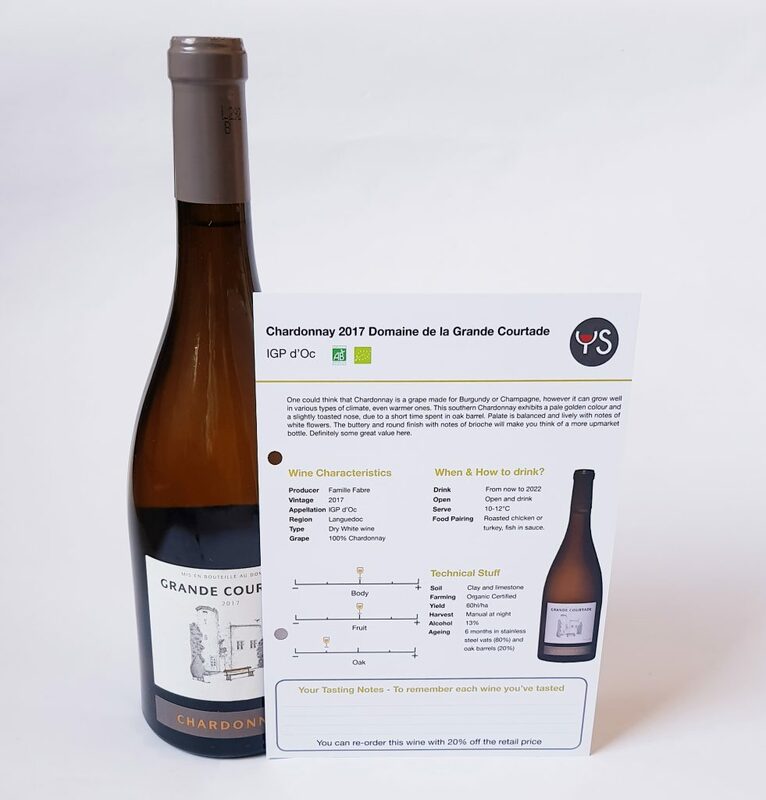 This Chardonnay Douceur is indicated to go well with poultry or fish, which means all dinner options are covered. This wine is also organic. and the grapes are harvested by hand. The theme card quite rightly says that the most important thing is to choose wine you enjoy, so these three bottles have you covered no matter what your preference. 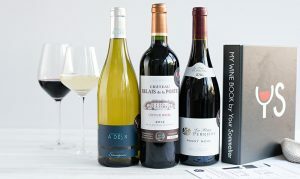 I really like fruity wines, so I’m very happy that this selection, especially the red, is from a region with a reputation for producing this kind of wine. 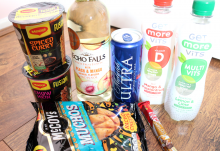 The perfect festive selection. 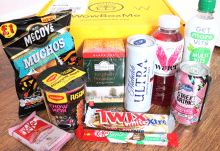 There's still time to order before Christmas, and you're guaranteed to have something for everyone's taste! How would you rate Your Sommelier ?